We talk a lot about the curly girls in this community, but what about the curly guys? 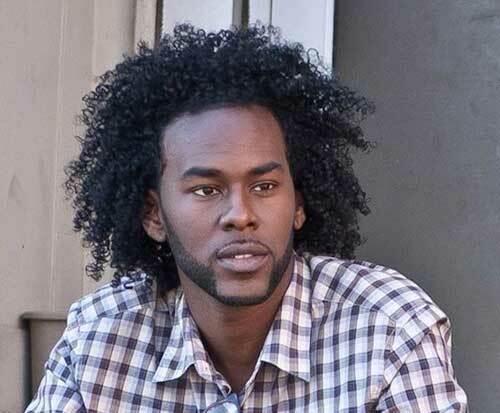 Men with curly hair face a lot of the same issues and care concerns as women with curly hair. Women spend a lot of time on their hair, but men tend to want something a little more on the low maintenance side. With these curly guy hairstyles that take minutes, looking great doesn’t have to take all morning. For men, a lot of their style comes in their haircut. A man with the right haircut to show off his curls is golden. One of the hottest trends in men’s haircuts is the fade cut. It lets you have clean, neat hairlines combined with the glorious texture of your curls on top. With this haircut, you can be ready to walk out the door in minutes just by running some moisturizer and curl definer through your strands. Make sure you get this done by a professional barber with experience working on textured hair for the best results. Here is a look at this style. Twist outs aren’t just for curly girls! They are also great for curly haired guys and can save you some time. Twist outs are a great way to keep your style ready to go in the mornings. If you are new to this man mane style, here is a quick tutorial to give you the rundown. When looking to try this look with a little increased length, check out this stretch out method. This will take a little more time initially, but once the style is in place, it will save you time styling hair. Ponytails are a great, fast way to get out the door without worrying about your hair. Putting your hair up can also help with shrinkage for further styles such as twist outs. If you have a lot of hair to work with, this style is still doable! See how with this quick guide. When it comes to curly guys, their hair is just as beautiful as curly girls. With a few hairstyles to bring out those qualities while saving time, rock your curls in masculine style!